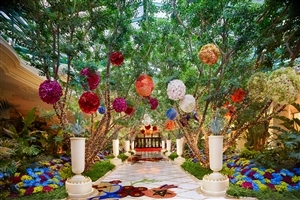 Surrounding guests in opulence and indulgence, Wynn Las Vegas is built to amaze visitors with great attention to detail. 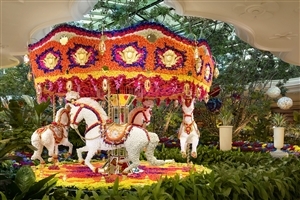 From the beautifully-appointed accommodations and award-winning dining to spell-binding entertainment, Wynn Las Vegas offers the finest in resort amenities. 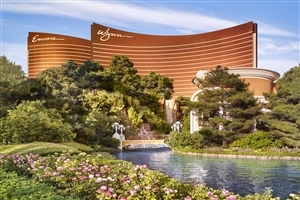 There are so many exciting choices like exhilarating spas and top-brand shopping which all come together to create a rich entertainment environment that flows seamlessly under one roof with Encore at Wynn Las Vegas. 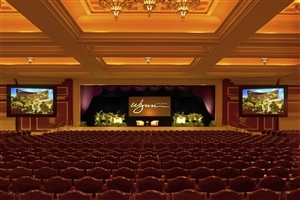 Wynn Las Vegas defines decadent style and sophistication. 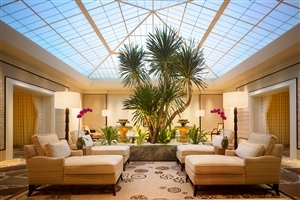 From a luxurious lobby to the stunning guestrooms and suites to award-winning restaurants to the great facilities to stunning stores, there is, quite literally, everything under one roof. When you step inside, you realise the architecture is just as elegant inside as it is out. From here you head to your gorgeous, spacious guestroom complete with great views to use as your base. 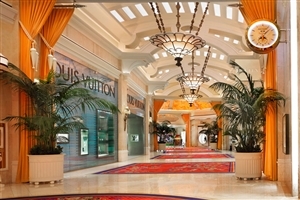 Back downstairs and you have award-winning fine and casual dining restaurants as well as fitness centres, pools, spas and shops – and we’re talking Alexander McQueen and Louis Vuitton. With all this to fill your days, it’s a good job that the evenings match for style and substance. 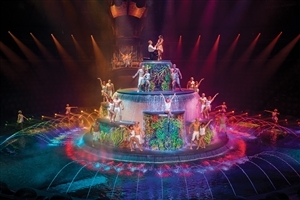 Dazzling shows are there for you to enjoy, like Le Rêve – The Dream which has won ‘Best Show in Las Vegas’. The nightclubs are celebrated and glamorous spots to dance the night away while the casino allows you to do what the city promises – win big! 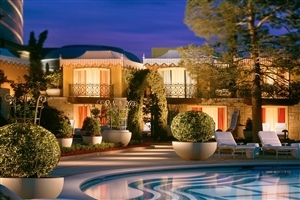 The Deluxe Resort room overlooks the iconic Las Vegas Strip or the verdant gardens of the resort. This room provides 60sqm of space, and features an oversized marble bathtub and separate shower, touch-screen controls and business amenities. 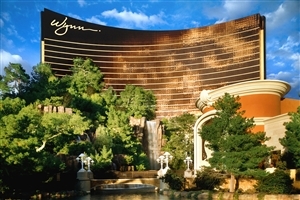 The Deluxe Resort room has one king bed or two double pillow-top Wynn Dream beds with 507 thread-count, 100-percent Egyptian cotton linens. The Deluxe Panoramic room provides amazing views of the surrounding landscape. This room offers 60sqm of space and is available with king-size or double beds featuring 507 thread-count, 100-percent Egyptian cotton linens. Outstanding amenities include a bathroom featuring an oversized marble bathtub and flat screen TV, and touch-screen curtains, lighting and privacy controls. 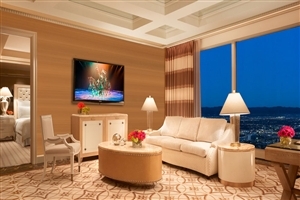 The Panoramic Corner room provides full corner views of the Las Vegas Strip on both sides of the room. This room offers 65sqm of space and a bathroom that features an oversized marble bathtub and flat screen TV. 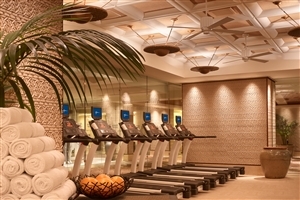 Excellent standard amenities include, bedside mobile phone charging outlets and touch-screen controls. 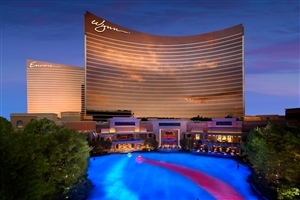 The Deluxe Panoramic Corner room has one king bed or two double pillow-top Wynn Dream beds with 507 thread-count, 100-percent Egyptian cotton linens. The Tower King Suite is perfect for work or play. This room features excellent amenities, including a flat-screen television, touch-screen curtains, lighting and privacy controls. Enjoy a $50 daily breakfast credit, coffee and tea service each morning, twice daily house keeping and access to the private Tower Suites pool. 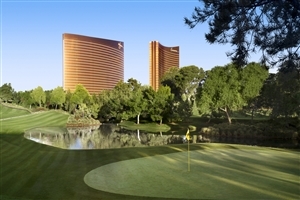 The Wynn Tower Suite has one king bed or two double pillow-top Wynn Dream beds with 507 thread-count, 100-percent Egyptian cotton linens. The Parlor Suite features a separate bedroom and living areas, perfect for entertaining and private receptions. Amenities include a powder room, flat screen TV and high-speed Internet access. Enjoy a $50 daily breakfast credit, coffee and tea service each morning, twice daily house keeping and access to the private Tower Suites pool. The Parlor Suite has one king pillow-top Wynn Dream bed with 507 thread-count, 100-percent Egyptian cotton linens. The Salon Suite is perfect for in-room dining, entertaining, and private receptions. This room provides 168sqm of space, including a separate bedroom, a large living area, a bathroom, a granite wet bar and a dining room. Features also include a whirlpool deep-soak tub and walk-in closets. Enjoy a $50 daily breakfast credit, coffee and tea service each morning, twice daily house keeping and access to the private Tower Suites pool. 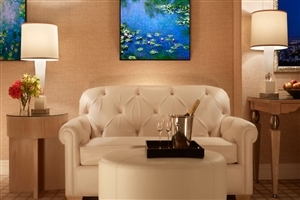 The Salon Suite has one king pillow-top Wynn Dream bed with 507 thread-count, 100-percent Egyptian cotton linens. Costa di Mare – Renowned for its seafood flown in daily from Italy’s coasts, Costa di Mare serves regional specialties overlooking its romantic lagoon. 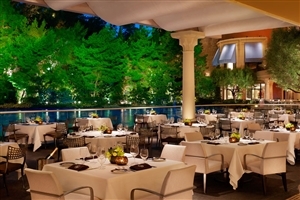 Lakeside – Impeccably fresh fish, caught in Hawaiian waters, is the star of this dining room overlooking Wynn’s Lake of Dreams. 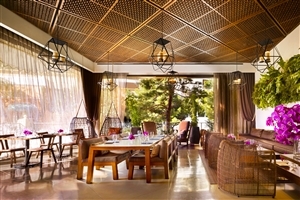 Mizumi – Set among private Japanese gardens, Mizumi serves pristine sushi, sashimi, and specialties from its robatayaki bar and teppanyaki room. 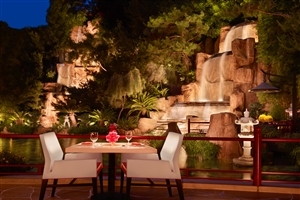 SW Steakhouse – Exceptional steaks, including certified Kobe, are served in a refined dining room and patio with prime views of Wynn’s Lake of Dreams. 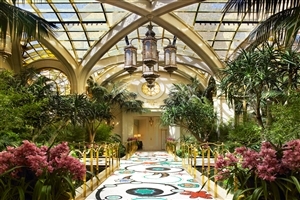 Tableau – This chic indoor and outdoor restaurant with pool views serves breakfast, lunch and brunch adjacent to Wynn’s Tower Suites lobby. 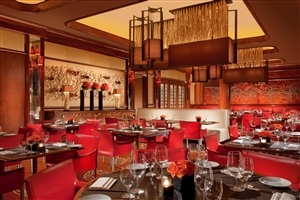 Wing Lei – The first Chinese restaurant in the U.S. to earn a Michelin star serves Cantonese, Shanghai and Szechuan dishes in a dramatic room. Allegro - Pizzas fired in the wood-burning oven, handmade pastas and classics like lasagna Napoletana are the draws in this relaxed setting. The Buffet - A sunlit atrium leads to more than 120 freshly prepared dishes, 15 live-action cooking stations, and the dessert shop of your dreams. 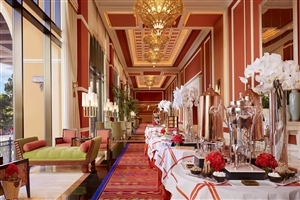 The Café - A favorite gathering spot at Wynn, The Café offers delicious bites, from favorite coffee drinks to pastries, sandwiches and desserts. La Cave - This intimate indoor/outdoor space with a stunning wine list and artisanal draft beers serves small plates perfect for sharing. 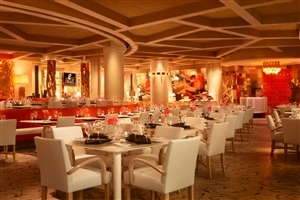 Charlie’s Bar & Grill - Find crowd-pleasing American fare like burgers, sandwiches and shareable appetizers in the heart of Wynn’s Race & Sports Book. Red 8 - Cantonese noodle dishes, Hong Kong-style barbecue and specialties from Thailand, Vietnam and Korea are served in this dynamic room. 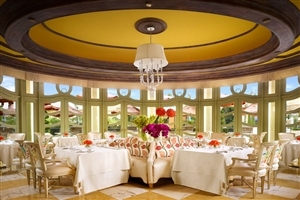 Terrace Point Café - The airy indoor/outdoor restaurant serves breakfast, lunch and brunch with views of Wynn’s manicured gardens and sparkling pool. Urth Caffe - Organic, heirloom coffee and healthy cuisine have a devoted following, now in its first U.S. location outside Southern California. 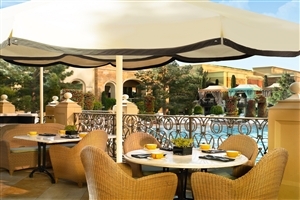 Parasol Up - The central hotspot near Wynn’s registration combines expertly mixed cocktails with a view of the resort’s signature dancing parasols. 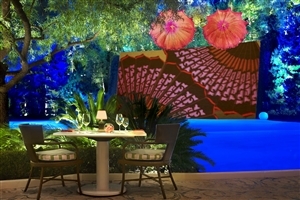 Parasol Down - This semi-secluded lounge located between Lakeside and SW Steakhouse has one of the best views of the show on Wynn’s Lake of Dreams. Tower Suite Bar - Elegant and low-key, Wynn’s Tower Suites lobby is a relaxing meeting place for a cocktail after a day of meetings or fun. 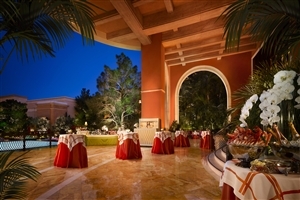 Intrigue – Every table is VIP at Wynn’s enigmatic indoor and outdoor nightclub. 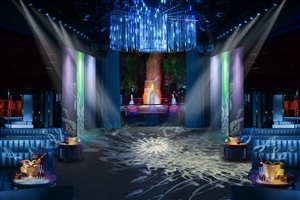 You’ll see artists up cost, take in the best pyrotechnics, and you can even take a breather from the pulsating dance floor by breathtaking waterfall. XS – One of the world’s most popular nightclub, XS attracts A-list performers, celebrities and partygoers to its sensational, over-the-top-scene. 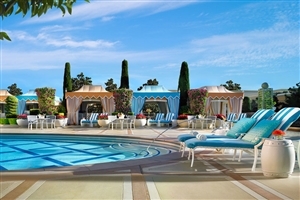 Encore Beach Club – The hottest music artist host booth day and night parties at the vibrant, oasis-like pool scene.